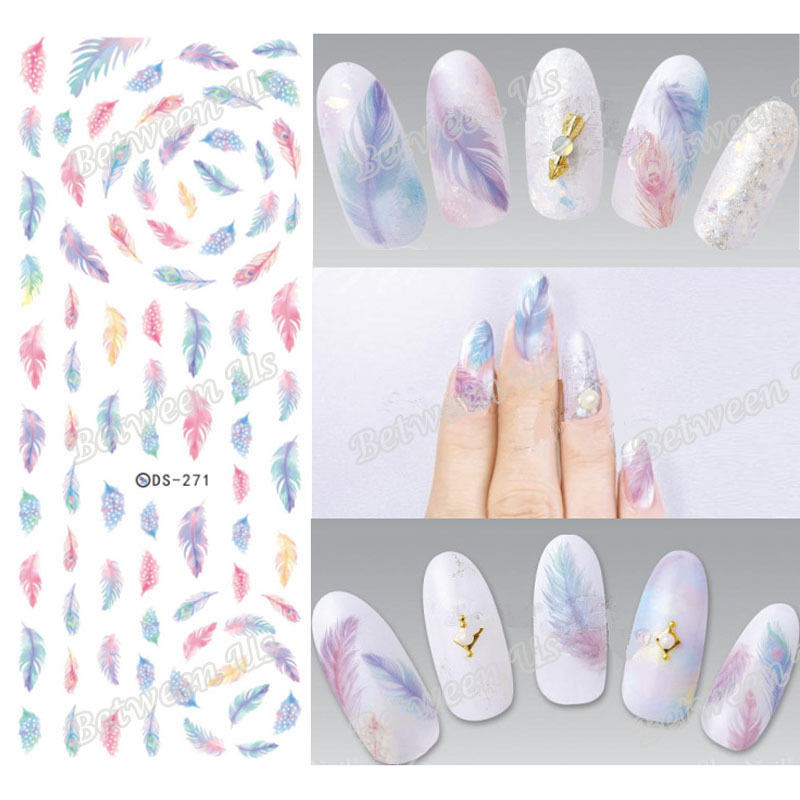 Description:	100% brand new	Package: 1pcs nail art Stickers (DS271)	How to use:	(1)Paint your nails whatever base color you like. Wait for your nails to dry a bit. (2)Peel off the clear plastic cover from nail sticker sheet after you cut the decal you have choosen. (3)Grab your decal with tweezers and submerge it in water. Hold the decal under the surface of the water for about 15-20 seconds. (4)Remove your decal from the water and it should easily slide off of the paper backing. (5)Then place the decal on your nail.Dab off excess water carefully. (6) After placing your decal then apply some pressure to help squeeze out any water that may be under the decal. The pressure caused by pushing down on it will also help it stick to your nail better. (7)Wait a couple minutes till you know any droplets of water have dried up. (8)If you find that there is some of the decal overlapping the edge of the nail, file this off gently with a fine nail file. (9)Apply a good quality top coat (clear varnish) to get the decal to really stick. (10)That’s it!Your beautiful nails done!